InPhotonics: Makers of the RamanProbe(TM) and other quality Raman products. Welcome to InPhotonics, the market leader in fiber optic sampling probes and accessories for Raman spectroscopy. Several RamanProbeTM models are available for analytical, quality control, and process monitoring applications. 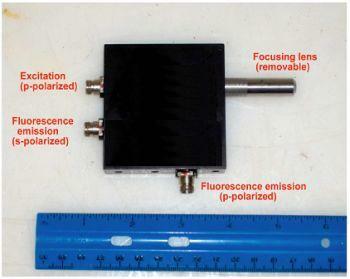 We also specialize in rugged fiber optic Raman spectrometers for laboratory and field analysis. All information and images contained in this web site are Copyright © 1998-2009 InPhotonics, Inc. All rights reserved. Last updated April 19, 2009; this site is best viewed at 800 x 600 screen resolution or higher.